This outfit may not look like much at first glance, but its the little details that make it a polished work look. I love the coordination of the different shades of green. Sometimes just wearing like colors adds that bit of put-togetherness that you need to feel good at work. 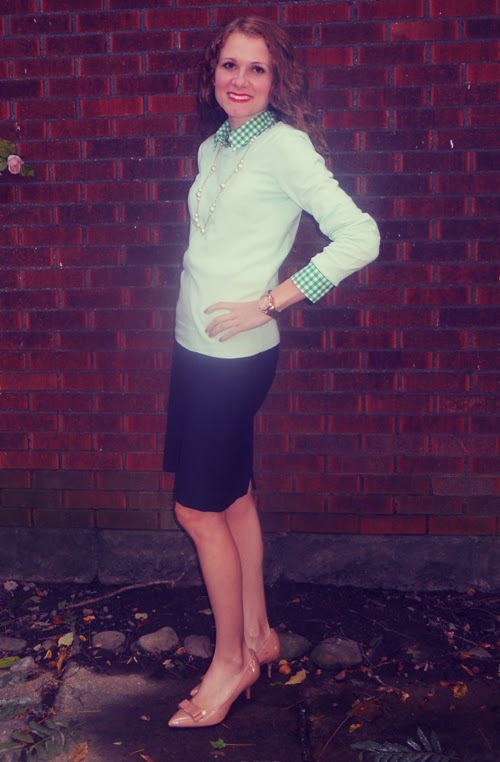 This sweet green gingham shirt is the perfect complement to my pink-hued bow pumps. I feel a little bit like Dorothy from the Wizard of Oz. The navy of this skirt combined with the pastels creates that perfect in between seasons color palette. You might think that incorporating layering into your wardrobe this fall is too expensive, but the skirt, sweater and shirt all cost under $15 each. 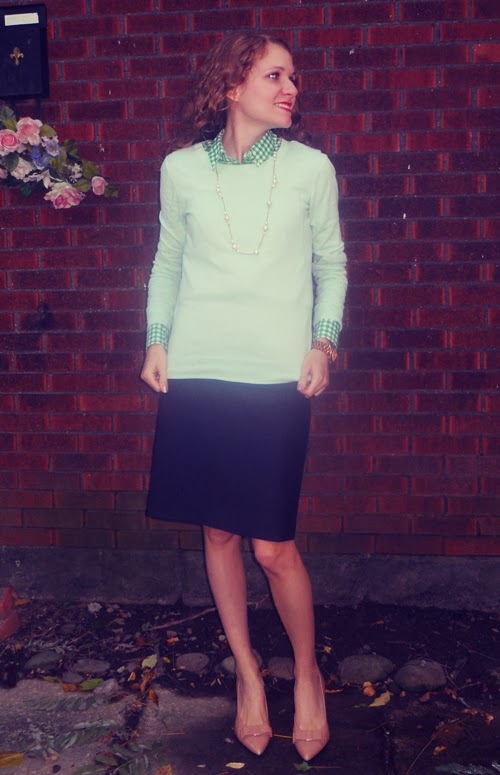 What are you wearing to work to transition between summer and fall?